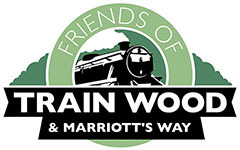 Lots got done by Friends of Train Wood and Marriott’s Way using the Bags of Help Grant at the end of last year – and many great partners and volunteers rallied round to help in the effort. With the help of the Norwich Fringe Project, which supplied all tools, material and training, refreshments and Personal Protective Equipment, volunteers got busy tackling fishing platforms, clearing paths and installing new benches. Two new fishing platforms were installed, others were repaired, eight new benches were put in and paths mowed. Our thanks go out to the Fringe Project and their volunteers who made it all possible. 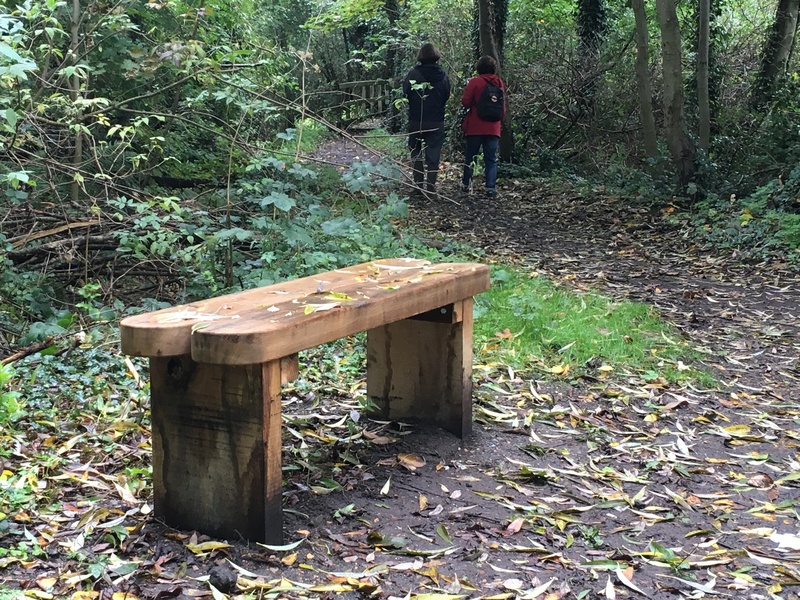 Our thanks too, to volunteers from Aviva who also lent a hand installing benches one work day and to a group of pupils from Framingham Earl High School who installed another two benches near the Barn Road entrance. The Trust for Conservation volunteers were also involved and helped by supporting the work of installing benches, on repairing the fishing platforms and cutting back the path and around the platforms. They also helped by leading the work on cutting and raking off the wildflower meadow. Thanks to the Groundwork Trust and Tesco for the funding which made it possible.